Jackie Chan's Build A School charity project has received a massive boost from his fans. 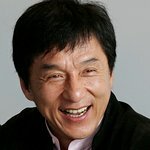 From JackieChan.com: "The charity drive that Jackie created to encourage young fans to donate funds for building schools in rural China has received a considerable amount of money, boosting the total for the latest round of fundraising to over US $112,000. Recent donations made to Jackie from fans and several of his close friends have added an additional $32,000 to the project. Jackie matches all donations with his own money and therefore the total has jumped by over $64,000 in just the last few weeks. “The Build a School for a Dollar project began in 2006 as a way to involve children in Jackie’s Dragon’s Heart Foundation charity. Rather than simply sending money to the charity, children were encouraged to incorporate their donations into drawings depicting the new schools that their money would help build for disadvantaged children in rural China.